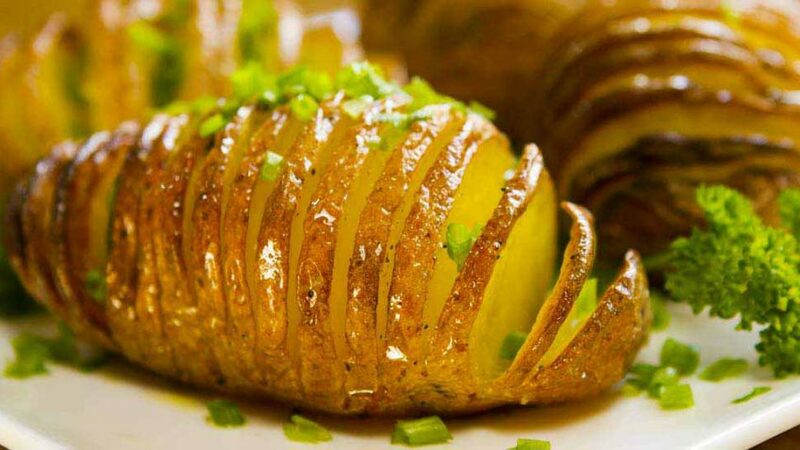 The Hasselback potato originated in Sweden and the name derived from the restaurant Hasselbacken in Stockholm where they were first introduced in the 1940s. 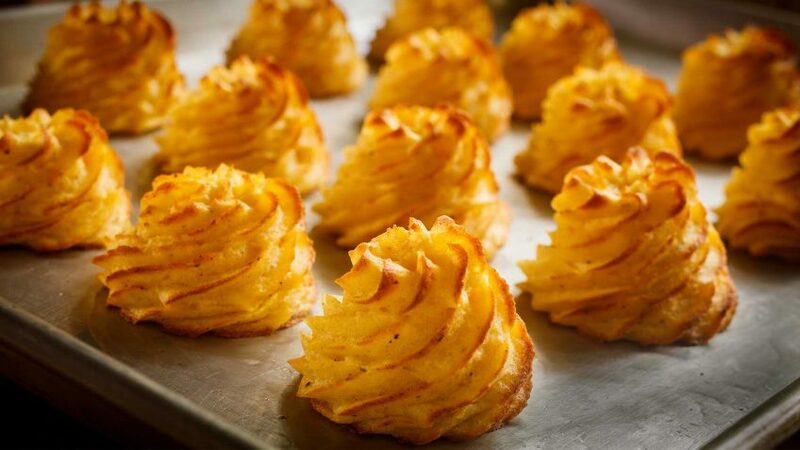 They are cut in such a way that resembles an accordion and were also known as the accordion potato. 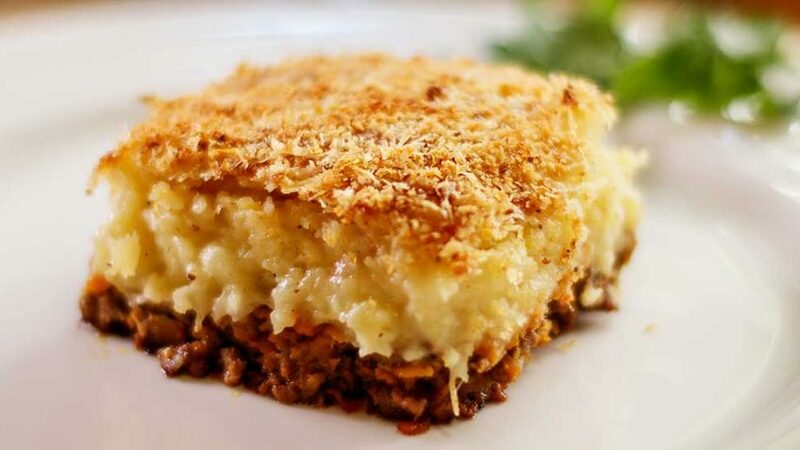 These are always a hit at any dinner party but are simple enough to make anytime. They taste incredible due to their crispy outside and mushy buttery potato inside. As well as all that they are visually appealing to look at. And no peeling required. Buy medium sized oval shaped potatoes. Wash and dry potatoes, trim off any eyes or unsightly bits. Leave skins on. 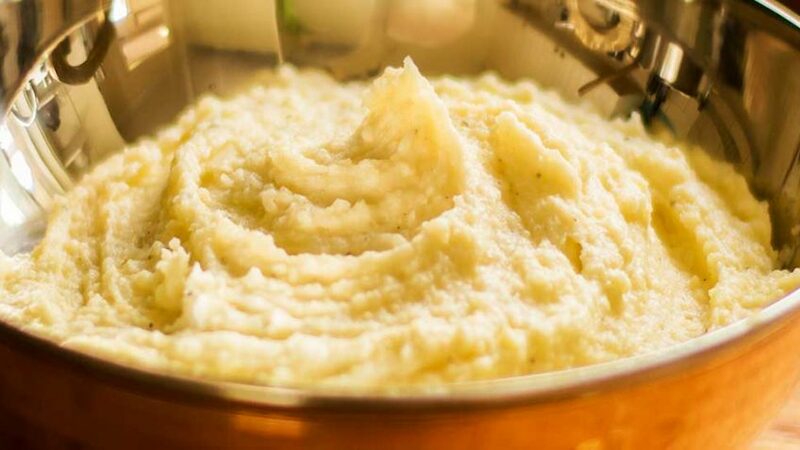 Trim a thin bit off the bottom of each potato, enabling them to sit flat without rolling. Place on a cutting board two chopsticks, one on each side of the potato to avoid cutting right through. Cut slits through each potato until you hit the chopstick. Cut approx 1/4 inch. In a saucepan, add the olive oil. Add the whole garlic, crushed and peeled. Add the rosemary to the oil and heat up oil to sweat the ingredients a little. 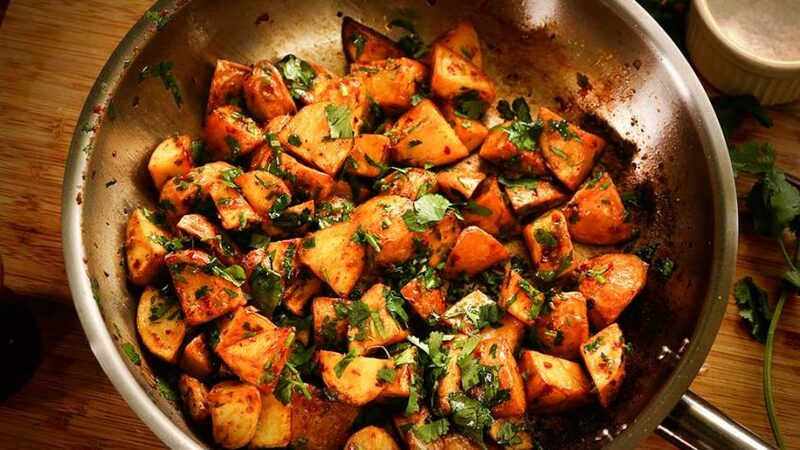 Open up the potato slits and pour some of the infused oil or brush it on generously. Season with salt and pepper. Place in oven for 60-70 minutes at 350°F – 180°C (edges should be crispy). When slicing the potato, be careful on the ends as they are curved hence shorter than the chopstick safety. If you have time, baste a little melted butter every 20 minutes. 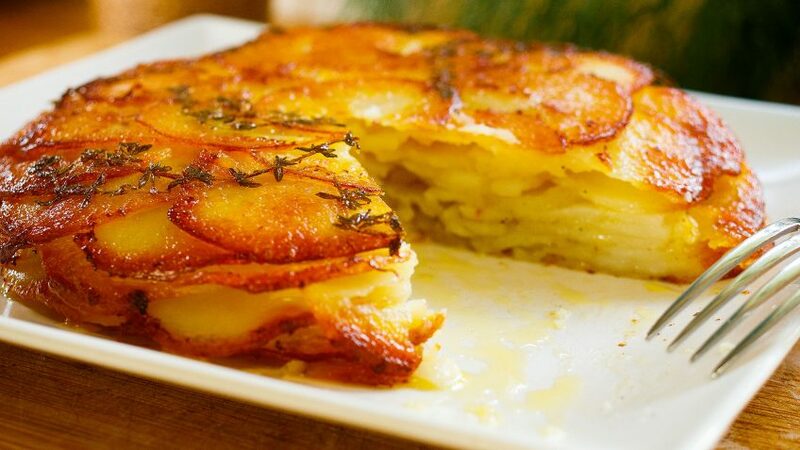 You can also add a little cheese and broil once the potatoes are cooked.